Detroit, Mich., Mar 25, 2019 / 04:07 pm (CNA).- Maybe it was the classic sunglasses, the skinny jeans or the flocculent mustache. Maybe it was the vintage-style religious art, the men in embellished uniforms, or what looks like incense rising from the streets. Whatever it was, a photo of a religious procession with a circa-1940’s aesthetic recently fascinated Catholics, who shared it on social media and other places around the internet. Except the photo of a St. Joseph’s procession on the streets of Detroit wasn’t taken in 1945. It was taken last week. “I guess what really makes it ‘epic’ in today’s terms is the steam from the city that…looks like holy incense,” said Canon Michael Stein, ICRSS, rector of St. Joseph’s Oratory in Detroit, which sponsored the procession. “When there was every material reason to shut it down (not enough funds, not enough faithful, a crumbling building), we’re very grateful that Archbishop Vigneron had a much grander vision (for the parish),” Stein told CNA. The appeal of the photo, and of the procession (which this year included 500 people), goes deeper than aesthetics, Stein said. “This is my parish; this is what we do,” said Daniel Egan told The Detroit Catholic about the procession. The photo of the procession includes the Knights of St. John in full uniform (a Catholic charitable organization with a very long history), as well as parish vicar Canon Adrian Sequeira, ICRSS, leading the procession in full choir habit, which is used when the order chants the Liturgy of the Hours together. The spots of blue throughout the photo symbolize the order’s total consecration to the Blessed Virgin Mary, Stein said. 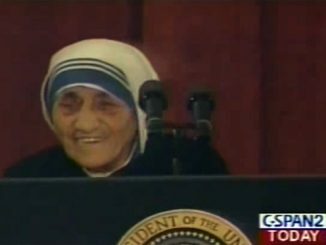 St. Joseph speaks to the hearts of today as a gentle and loving man and father and worker, Stein told CNA. Part of the homily from the feast day, he said, explained that God sends saints for the times – either holy people of the time who are witnessing to the Gospel, or saints of old who are re-presented and raised up as intercessors for the times. “It only takes a quick glance around the world to see a fatherless society, and to see either a slothful or workaholic society, or a lack of an appropriate understanding of manliness,” Stein said. The procession, which traveled for less than a mile, stopped rush-hour traffic in the city, with the collaboration of Detroit police. It travelled to the Eastern Market, an iconic makers market in Detroit that has remained in the city since the 1800s, where workers can sell their wares and fathers can support their families – two things of which St. Joseph is the patron, Stein noted. Beyond being a photogenic opportunity, Stein noted, the procession and all of the festivities on the feast of St. Joseph are the fruit of a lively spiritual and liturgical life. To fill the needs of an increasing number of young people, St. Joseph’s offers teenage catechesis and young adult groups, Stein said. The parish also has daily Mass and confession, a schola choir, and active volunteer groups, among other ministries. Within just two years, it’s become a hub for millennials in the Archdiocese, he noted. “We are predominantly young,” Stein said, and young people are hungry for an incarnational faith. Washington D.C., Feb 14, 2019 / 03:26 am (CNA).- Imagine being woken up in the middle of the night by a dark figure in your room. He presses a gun to your head and demands that you get up. You and your family are dragged out of bed and led to a mining field, where you are forced to dig for hours on end. They may be the proverbial “girl’s best friend,” but diamonds are far from friendly for many of those involved in the mining process. With abuses ranging from forced labor to the funding of child soldiers, many diamonds still carry the shadow of blood and conflict, even decades after the first attempts to address some of the more troubling practices in getting the stones from their rocky deposits to a glittering setting. What – if anything – can Catholics do to counter the immense human cost still attached to some of these gems? Plenty, according to Max Torres, director of management and professor at The Catholic University of America’s business school. While there are many steps in the process and levels of moral responsibility from consumers to the diamond exporters themselves, Torres maintained that ordinary people can still work to change large-scale moral problems in the industry. “Do not underestimate the power of the consumer to move supply-chain decisions throughout the economy,” he stressed. Despite the 2006 hit film “Blood Diamond,” starring Leonardo DiCaprio, many consumers are still unaware of the controversy surrounding the diamond industry. Meanwhile, the need for accountability and higher ethical standards is still sorely felt by many working to mine the precious gems. In recent decades, the conversation surrounding diamond mining has focused on the so-called “blood diamonds” – those mined in conflict areas whose profits are used to fund the bloody war efforts. 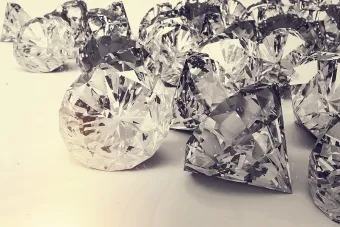 Also called “conflict diamonds,” these previous stones are most associated with the illicit industries backing of civil wars in Angola, Sierra Leone, the Ivory Coast, Democratic Republic of Congo, Republic of Congo, Central African Republic and Liberia. These countries all now have, at least in theory, legitimate diamond mining industries subject to international standards. The most well-known international standard, the Kimberley Process, was set up in 2003 following a United Nations resolution against the sale of blood diamonds, to ensure that any given shipment of diamonds does not finance rebel groups. Certified shipments of rough diamonds must be transported in tamper-resistant containers and must be accompanied by a government certificate verifying their compliance. But many advocates say the process is inadequate at addressing the problems underlying the diamond industry. For starters, there is no guarantee beside the exporting government’s assurance that a given shipment of diamonds is, in fact, conflict-free. Issues of corruption and bribery surrounding some governments’ certification, and a lack of transparency has led some key groups to pull out of the process altogether. The 2003 National Geographic special “Diamonds of War” found that despite the early efforts of the Kimberley Process to regulate the industry, illegal transactions at the time were still rampant in some areas. A Sierra Leone official said that some 60 percent of the diamonds exported from the country were smuggled rather than going through officially regulated channels. One expert in the documentary estimated that 20-40 percent of the global rough diamond trade at the time was done illicitly. Another complaint about the Kimberley Process is that while it works to combat funding of conflicts, it does not deal with other issues in the diamond industry, including forced labor and violence against workers, substandard and exploitative working conditions, the use of child labor and environmental concerns. These problems show that the current definition of “conflict-free” is “far too limited in scope,” said Jaimie Herrmann, director of marketing for Brilliant Earth, a San Francisco-based jeweler that focuses specifically on providing ethically-sourced diamonds, gemstones and metals. What the Kimberley Process “doesn’t include is human rights abuses, violence, sexual abuses, and severe environmental degradation, as well as corruption,” Herrmann continued. The chance to establish a legitimate and ethical source of diamonds has also been an economic opportunity for some countries. In Botsawna, the government and DeBeers diamond company each own half of the Debswana mining company, and the nation has seen a rapidly growing economy and increasing economic freedom thanks in part to its booming mining industry and trusted industry standards. Canada too has invested heavily in its mining infrastructure and increased production, quickly becoming a key diamond-producing country since the discovery of large diamond deposits in the 1990s. Synthetic diamonds too offer promise for more ethically-produced diamonds, though currently the lab-produced stones comprise only two percent of the diamond gemstone market, with the remainder of the synthetic stones used in industrial settings. Sustained abuses ranging from the funding of bloody conflicts to mining practices that exploit and demean workers not only fail to fulfill the moral duties of employers, Brugger said. The unjust practices also affirm that the high profits coupled with neglect for moral obligations have been “attracting scoundrels” to the industry. But business leaders are not the only people with moral stakes in the diamond industry, he continued. “It seems to me that morally conscientious people have an increasing responsibility to ‘shop ethically,’ i.e., to keep in mind where things come from, the conditions of those who supply things, the processes by which they are supplied,” Brugger suggested. While it may not be possible to know the sourcing behind every product in every store, he said, it could be easier to find information on larger suppliers and specific industries. “As one becomes aware of the ethical conditions surrounding an industry, one’s duty to factor that knowledge into one’s moral decision making becomes greater,” he added, noting that not everyone has the same access to the facts on abuses in a given industry. Lack of information is “a big part of the problem,” according to Herrmann. She recommended that jewelers seek to trace the origin of their diamonds to countries and mines known for more ethical practices. “Most jewelers know that their diamond is certified as conflict-free by the Kimberley Process, but do not know any more information about where their diamond is coming from,” she said. Stephen Hilbert, a foreign policy adviser specializing in Africa and Global Development for the U.S. Conference of Catholic Bishops, seconded the suggestion that people looking at diamonds ask where they come from. He added that customers should also ask electronics dealers to check for conflict minerals, which face many of the same concerns as the diamond mining industry. “Dealers may not be able to tell you whether their devices have been checked, but at least this raises the profile of the issue and this may trickle up,” he told CNA. Consumer instance could be the force that leads to tighter standards and improved processes aimed at preventing abuse. But in the end, the moral issues surrounding the industry are fundamentally a problem of human sin, which no process or regulations can erase. This article was originally published on CNA July 5, 2015.